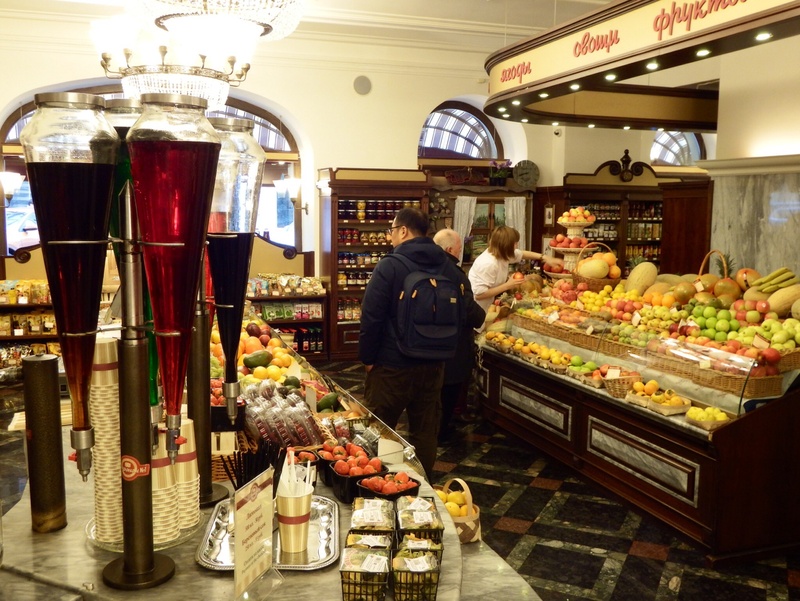 The food hall at Red Square’s famously luxurious shopping mall. It’s an odd juxtaposition – row upon row of top designer brands opposite Lenin’s Mausoleum. 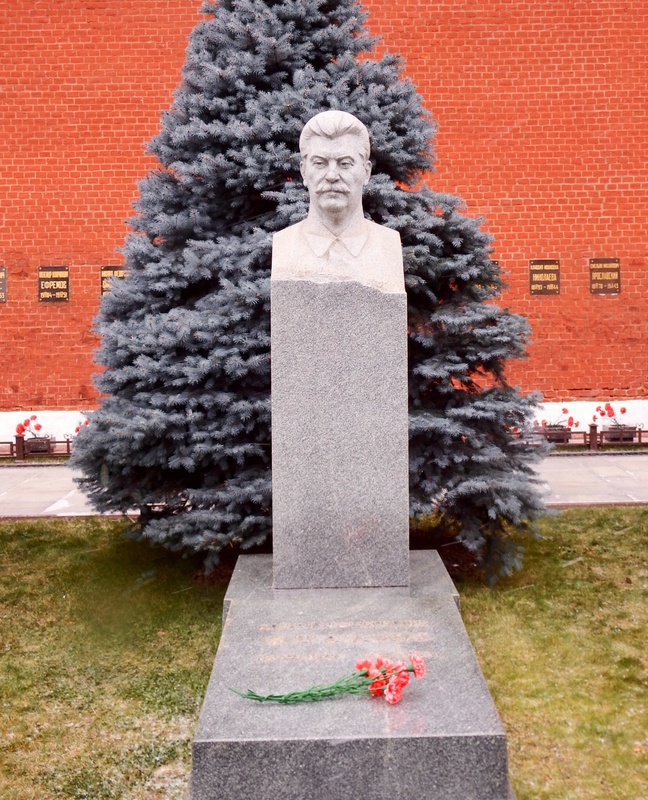 Joseph Stalin is buried at the Kremlin Wall Necropolis. Palaces for the people. 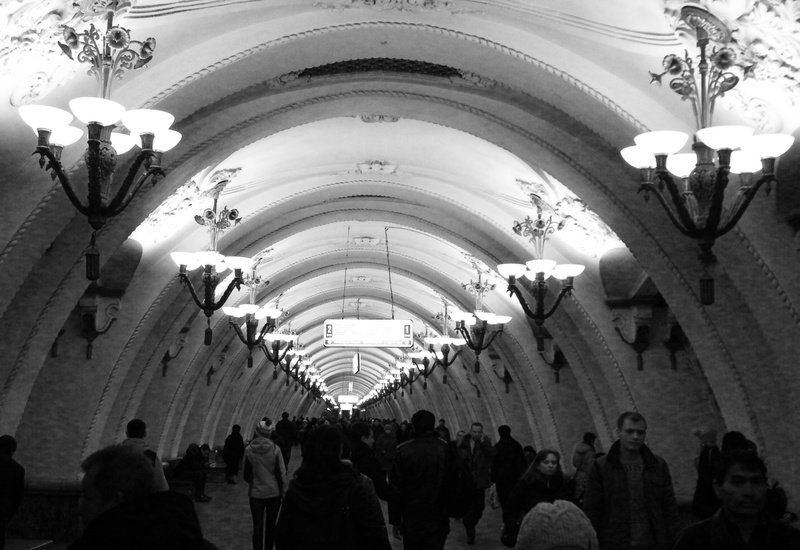 The architecture and lighting on Moscow’s underground are stunning. 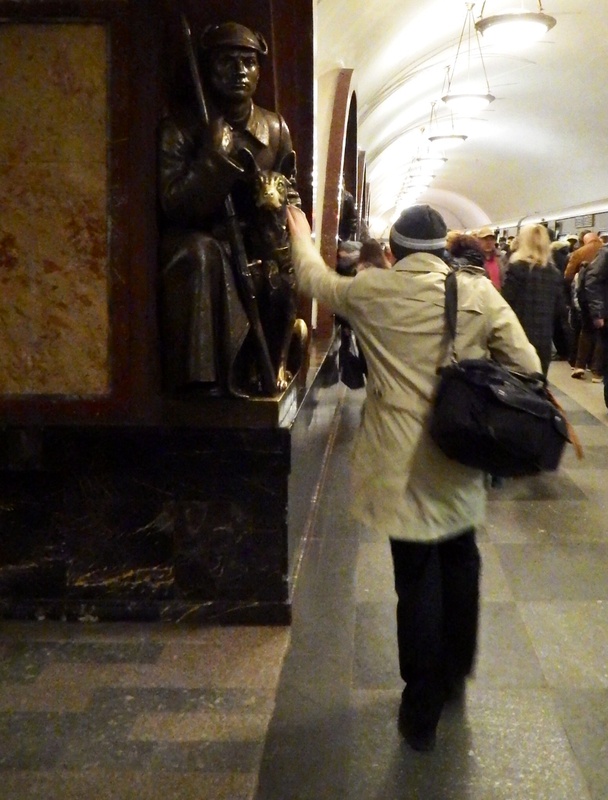 This is a bronze of a frontier guard and his dog at Ploshchad Revolyutsii station. Everybody rubs its nose for luck. I even saw a man leap off the train for a quick touch and get back on again. 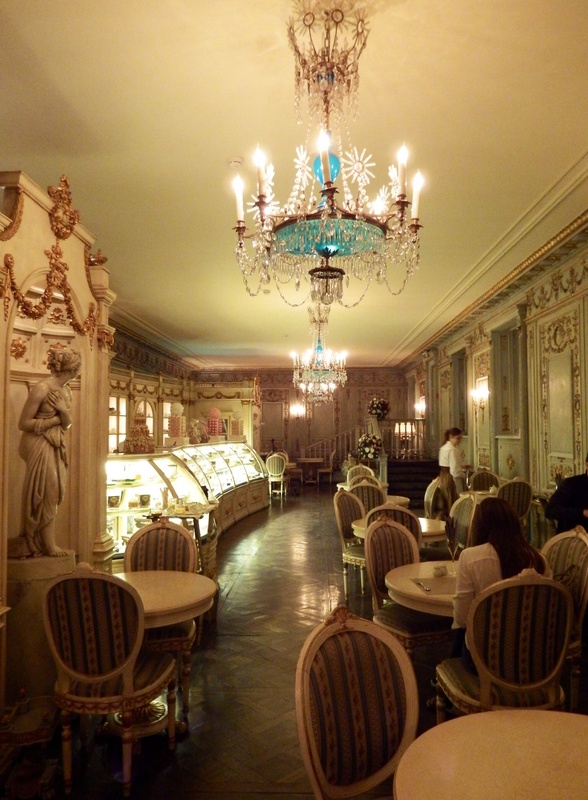 The interior at Cafe Pushkin is a feast for the eyes, let alone the cakes. 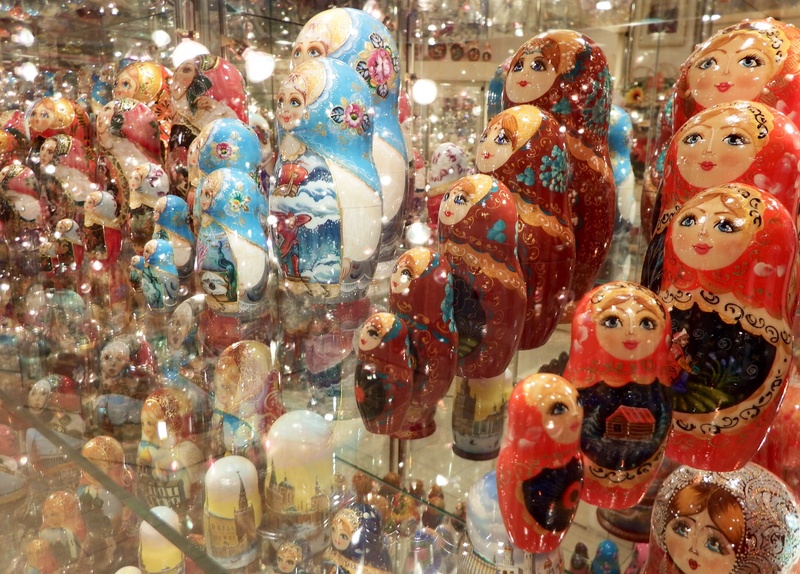 Every souvenir you can imagine can be found on this street – one of Moscow’s oldest. Lots of cool bars and cafes too. 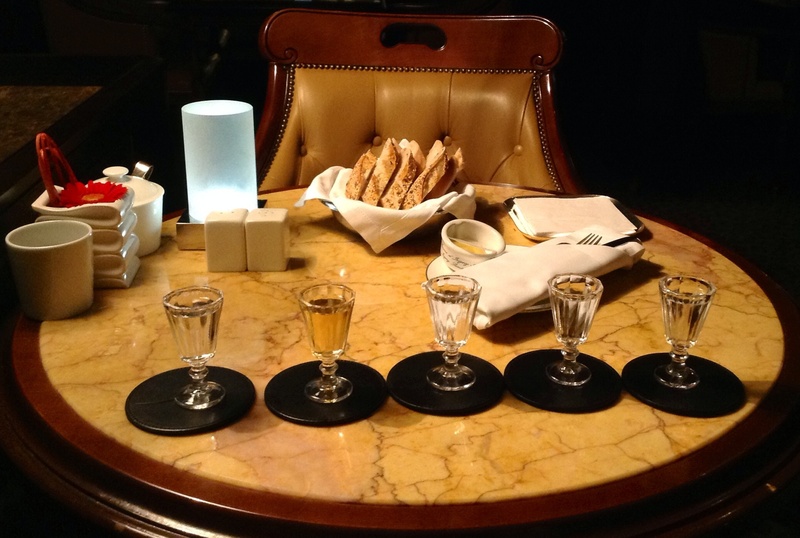 A tasting session at the Baltschug Kempinski Hotel. Purely educational. 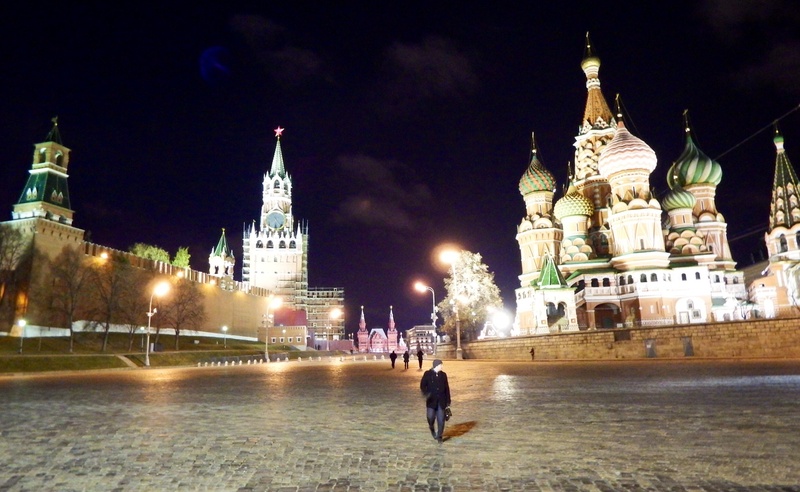 This entry was posted in Uncategorized and tagged Arbat Street, GUM, Kremlin, Lenin, Metro, Moscow, Round The World, Russia, Stalin, Travel, Vodka by Fiona Trott. Bookmark the permalink.